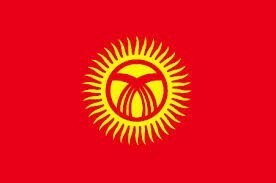 No visa is required for US citizens to travel to Kyrgyzstan for stay of less than 60 days for tourist or business purposes. A Valid passport or proof of US Citizenship and valid ID required. Starting from 29th of July 2012 the Kyrgyz Republic has up to 60-days visa-free regime for citizens of 44 countries listed below. The visa is needed if the period of staying in Kyrgyzstan is more than 60 days. United Arab Emirates, Poland, Portugal, Kingdom of Saudi Arabia, Singapore, Slovakia, Slovenia, United States of America, Finland, France, Croatia, Czech Republic, Switzerland, Sweden, Estonia, Qatar, Brunei and Bahrain. 1. A valid, signed US passport. The passport must have at least 3 months remaining after the completion of your stay in Kyrgyzstan, and contain at least one blank visa page. 3. One passport photographs Digital and non-passport photographs are not acceptable. 5. Invitation Letter issued by the Consular Department of the Ministry of Foreign Affairs of the Kyrgyz Republic in Bishkek or the Ministry of Internal Affairs upon request submitted by your local contact (family member, tourism agents e.t.c.). Updated: August 22nd, 2014 .